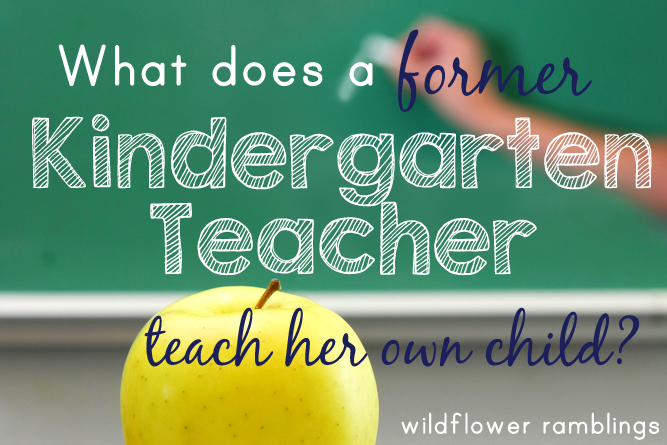 I am excited to share our Kindergarten Curriculum Plans for this year. I have thought long and hard about these decisions, so I am thrilled to dive into teaching my son and sharing our journey here. Our homeschooling plans always start with the possibility for change and adaptation, according to my son’s individualized needs. Please read on to see what exciting subjects and knowledge we want to learn this next year! 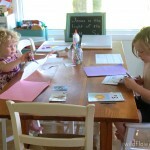 This next school year will be the first (semi) official year of homeschooling! 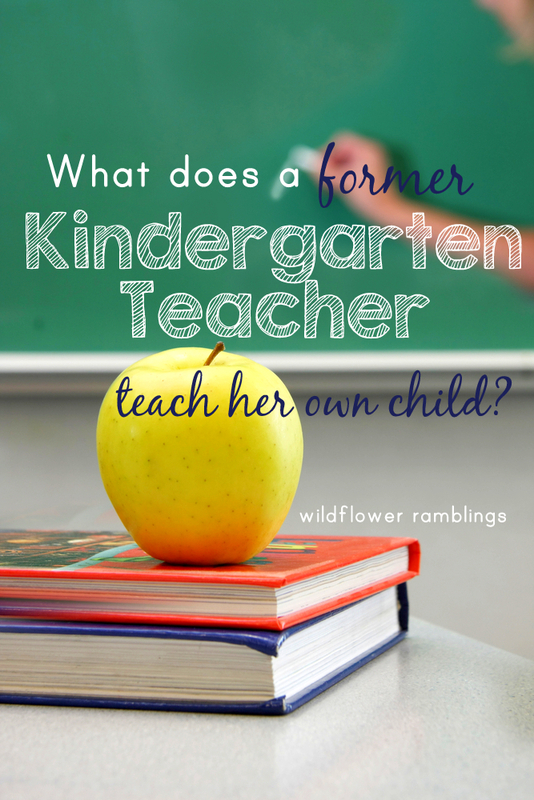 We have been enjoying our Tot School and Preschool days, and now Kindergarten is upon us!! I say “semi” because John turns five in August. He is a “young five.” So whether we decide to homeschool through high school or not, we plan to “hold him back”. This is for academic reasons, but mostly for maturity. And of course I want to keep my boy home as long as possible ;) As a kindergarten teacher, I always recommended that parents hold their children back. Better to be older, more matured, more seasoned and explored, and sure of himself by high school and college, than the other way around. It brings me great joy and excitement to pour over these academic and curriculum decisions…. so each and every decision is based on what I think is best for my child. I do not base my decisions by anything sponsored by my blog. In fact, most of the following are not affiliate links. 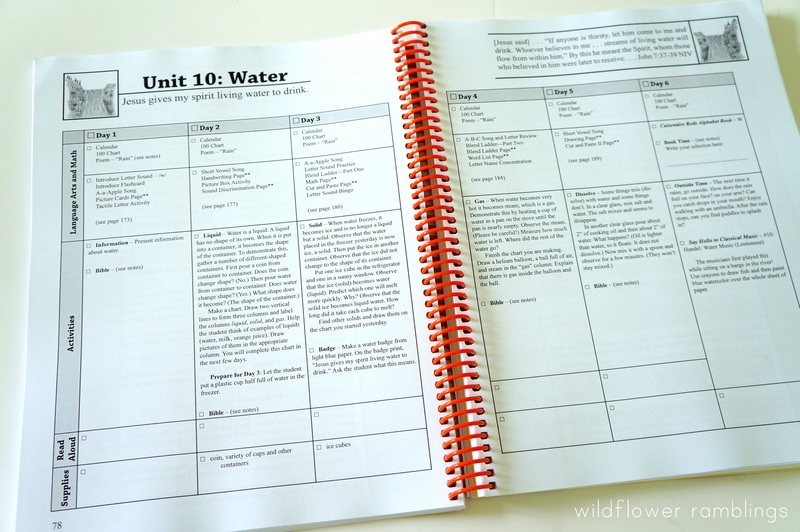 I have poured over and decided each and every subject through extensive scrutiny of homeschool networks, curriculum sites and magazines, attending homeschool conferences, purchasing various materials, perusing various friends’ and families’ curriculum materials. This is truly the best I can do for my son. I believe that. And we are both so excited that we have already started. In June. The beauty of homeschooling is that it can last for several hours on a summer Saturday or take a week’s break in October. 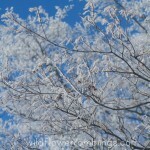 Year-round, home-schooling is everywhere. It is in our grocery shopping. It is at the playground. It is in the woods or feeding the horses down the roads. We are always asking questions and always learning. Active and eager and innocent and open and creative and strong and questioning and answering. He can be incredibly engaged for a solid 15 minutes. Sometimes even 20 or 30. But he needs a solid break after this. And I know and embrace this fact. Gross motor activities will always be happening in our house, to benefit his learning and all of our overall health (I wrote many tips over at ideas for hyperactive children here). 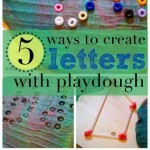 We are not approaching homeschool with a “you have to do this before play time” attitude. This is play time. Learning opens up his mind to an exciting world of knowledge and history and growth. All of our materials will be presented as just part of life. This is what we do and it’s incredible and astounding and thought-provoking and interesting and creative. I believe in following a child’s lead, listening to their interests, adapting when necessary. I even believe in “unschooling” as well. Every day, questions incite new learning through materials such as nature, books, the library, speaking and listening, watching. We will continue with our open-ended provocations for nature, math, art, and science. We learn to read just by reading together. 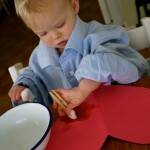 John learns to write his letters by writing simple Thank You or Sorry notes to his sister or friends. These opportunities happen spontaneously and they should be cherished and honored, and not considered secondary to the “curriculum” that I’ve deemed appropriate. I believe these life lessons of learning can beautiful link to all we are formally learning and all I intend to teach my son. However, I also believe that there is true and beautiful wisdom in this world that I feel it is my honor and duty to represent and show my son that wisdom. The knowledge of the great Greek philosophers. The writing of Socrates, Shakespeare and D’Aulaires. The timeline of our great world and American history. I plan to share soon how I’ve contemplated and resolved that the Reggio approach to early childhood learning can now coincide beautifully with (a sometimes, and certainly eventually, strict) Classical teaching and education. Our Kindergarten work includes learning and embracing Biblical and character truths through reading and hands on activities, exploring the musical and visual arts through appreciation and creation, recitation and grammar, phonics instruction, handwriting, hands-on math exploration, American history familiarization and character building and lots of reading, reading, reading. 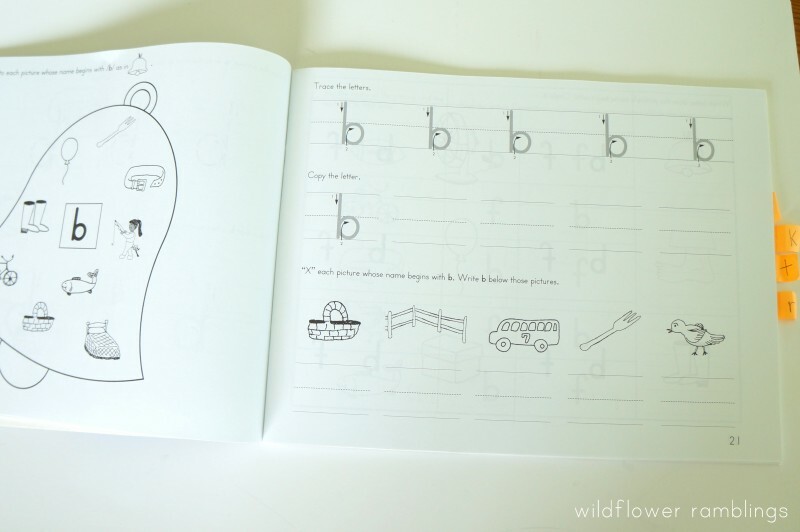 My Father World: Creation from A to Z Kindergarten Curriculum: I fell in love with this curriculum when my aunt was using it with her two young adopted children. 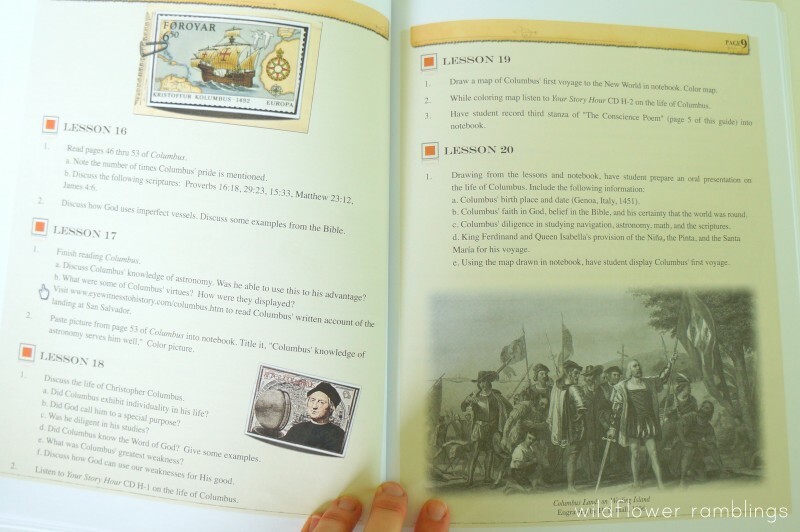 Each letter focuses on a Christian truth while studying God’s beautiful world. The days are focused on the delight of the child as they glory in God’s world around them. Time with family and independent play time outdoors is valued and considered a part of the curriculum. You can do more or less of what is provided in the in-depth lessons. Phonics is taught with many hands-on ideas, math is also a tactile approach, and science is taught with various experiments and nature ideas related to the theme of the week. 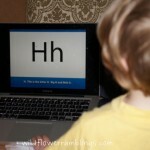 The lessons move through a letter of the week in a way that the child can begin creating words quickly. S, M, and A are taught first, which leaves room to create some words. This works well with my phonics philosophy and our First Phonics Readers. 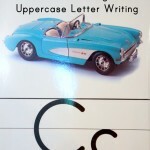 For example, S is for Sun. Jesus is the Light of the World. Your child will turn grapes into raisins, many books are read about sunlight, prompting questions are suggested for the Biblical truth. I love that it is all there in front of you, the lesson plan guide is incredibly organized, but without a “script.” If my son is particularly excited about a certain subject matter or has his own plans, then we can always deviate from the “curriculum” to follow his lead. The curriculum also has a long list of books, both fiction and non-fiction, that you can check out from the library for your child’s growing Book Basket to inspire and encourage a love of reading and knowledge. This classical & Charlotte Mason inspired curriculum encourages nature walks, reading aloud, quiet reflection with God, and can be done in less than an hour each day of the week. 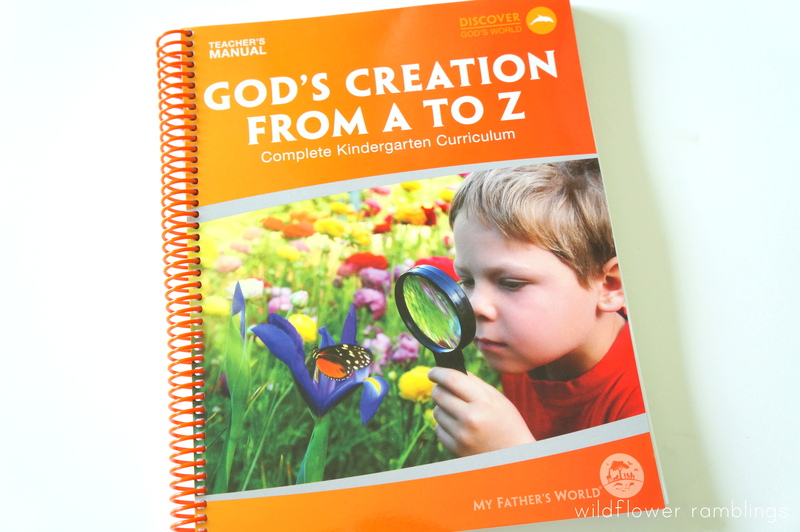 Creation from A to Z also includes hands-on activities such as growing caterpillars and having an ant farm built into the sound Biblical curriculum. 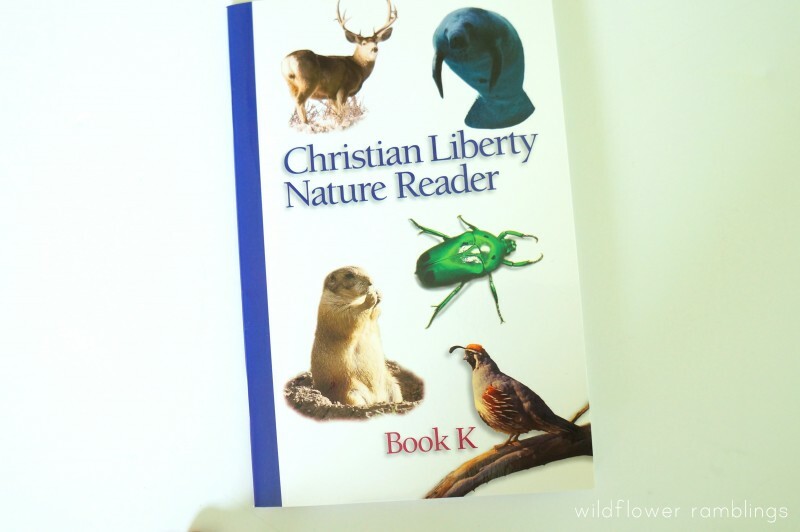 Christian Liberty Nature Reader from Memoria Press: We are adding this to our curriculum, as it fits in very nicely with the creation theme. 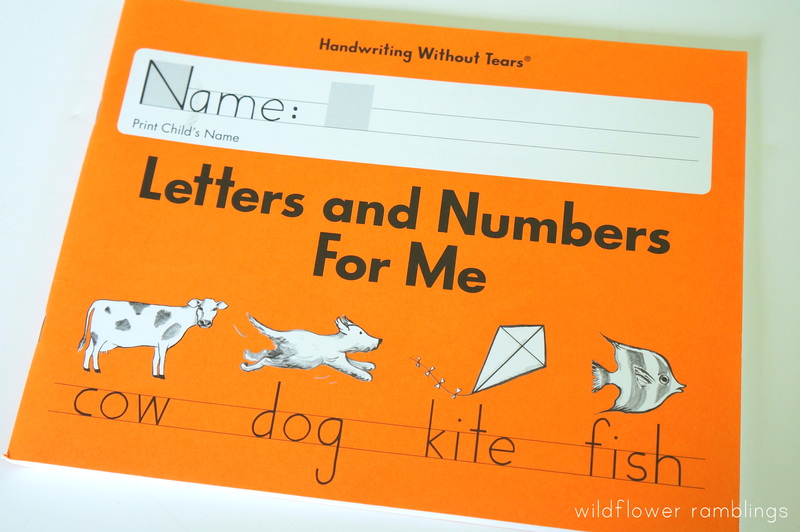 Each letter focuses on one special animal, while studying real photographs, new vocabulary, and comprehension questions about the text. 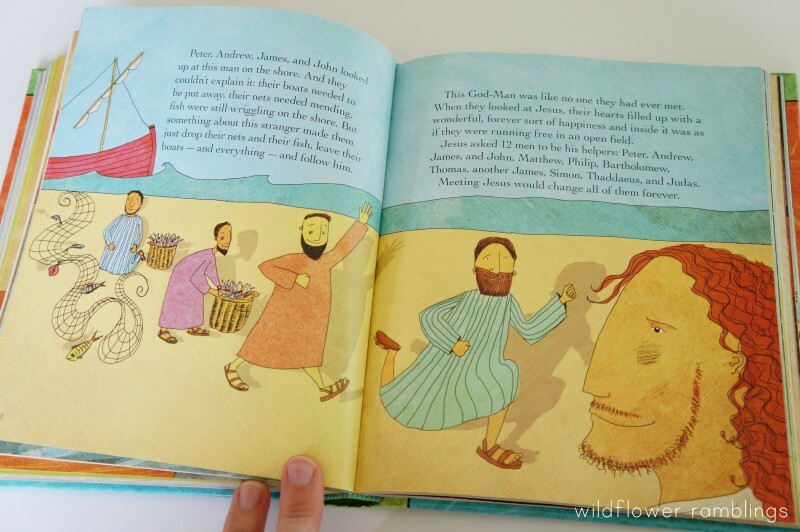 The Jesus Storybook Bible: The My Father’s World curriculum goes through Biblical truths and verses each week — it is wonderful to open the Bible up and read these verses together and dwell on them for a long period of time. I also want to maintain a Bible story time in our mornings, along with our recitations and character reading. 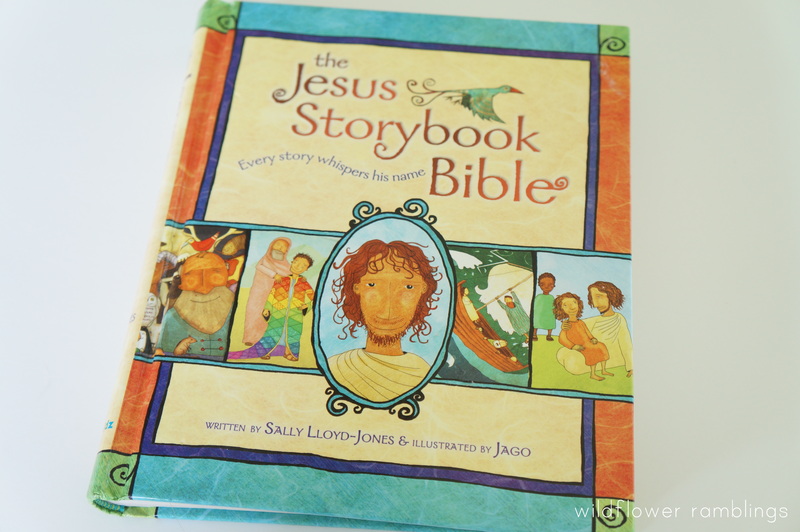 We have many children’s Bibles to choose from, and I have decided to begin with the Jesus Storybook Bible. The words are so poetic and ring with so much truth that my son, before, glossed over. And I confess that sometimes, while reading, I may have summarized some of the wordier passages. Now that my son understands the beauty and sacrifice of our Saviour, he has really invested in our time reading this Bible together. 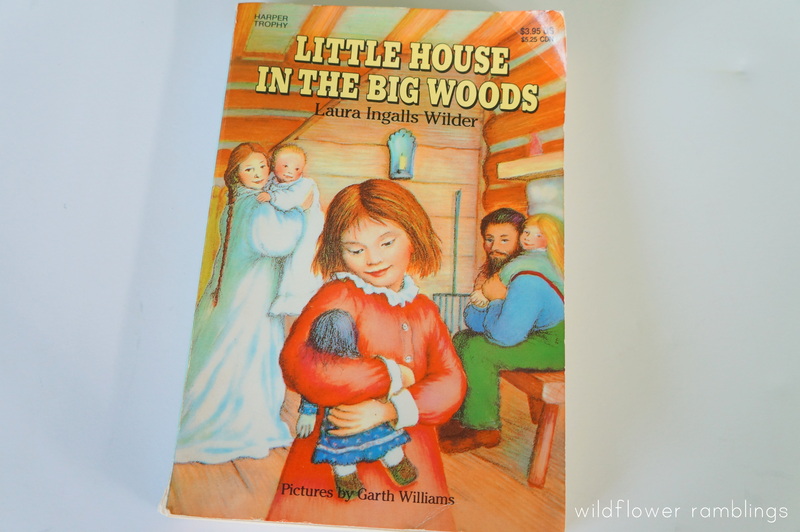 We will start on another Bible after we read completely through this one (our Bible resource list is here), and we will also be working through our Bible felt stories, as I’m able. 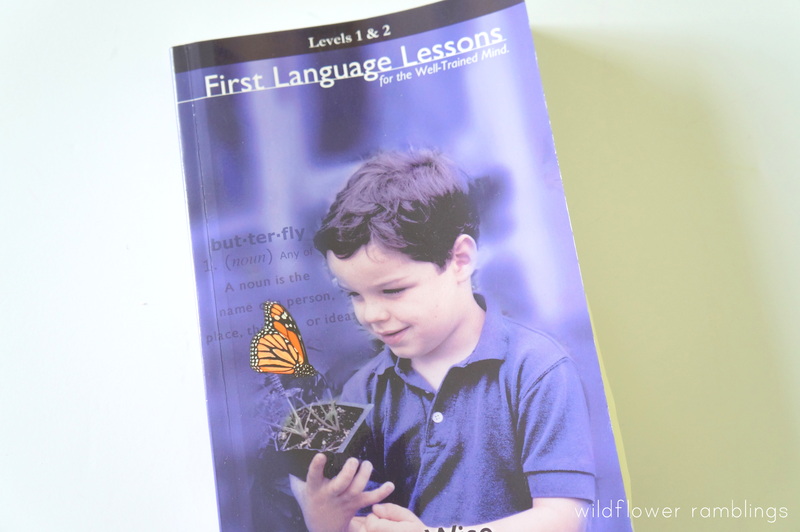 First Language Lessons by Jessie Wise: This book is an oral overview of various English grammar, picture narration, and poem memorization, among other topics. 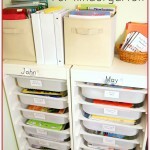 The repetition and consistency help a child remember the material learned. My son already knows, from the first 10 lessons or so, the definition of a noun, a proper noun, a common noun, and has memorized “The Caterpillar” poem by Christina Rossetti. 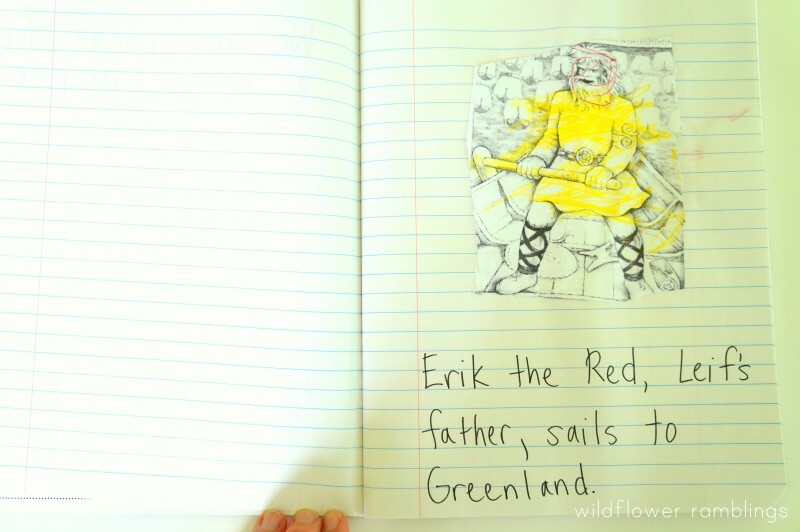 We will continue orally through the text, while older children would hand-write some of their summarization or poetry learned. 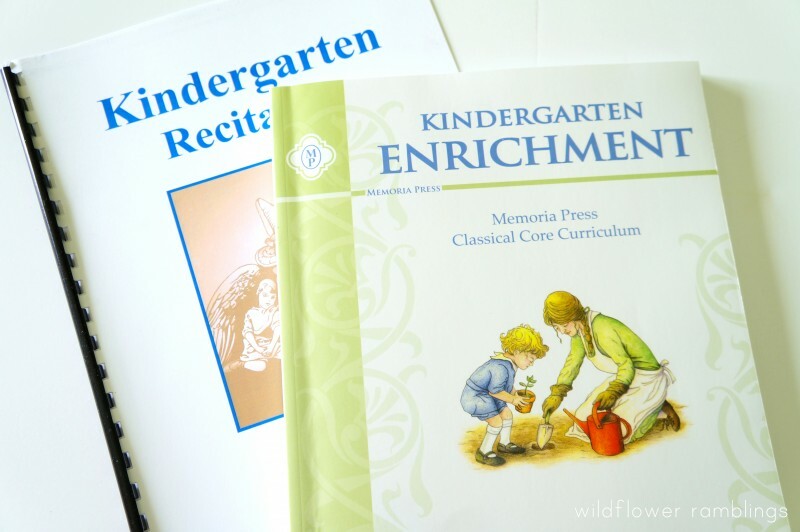 Kindergarten Recitation from Memoria Press: This simple sequence gives 3-5 listed recitations that your child should memorize, review, and know. For example, “What is the Pledge of Allegiance?” “How many letters are in the alphabet?” “How many vowels are there and what are their sounds?” (“The vowels are/a/, /e/, /i/, /o/, /u/.”) Focus is on mastery and speaking in complete sentences. Kindergarten Enrichment from Memoria Press: We are focusing on one read-aloud book per week. This invaluable enrichment text sets out in-depth comprehension and discussion questions for each of the 26 classical books chosen. Each are based on a “theme” — also included is a beautiful classical painting to discuss, poetry to read together, and classical music to study each week. We will try to do most, but certainly do not have to do all. The key here is exposure to the beauty of written, auditory, and visual art. 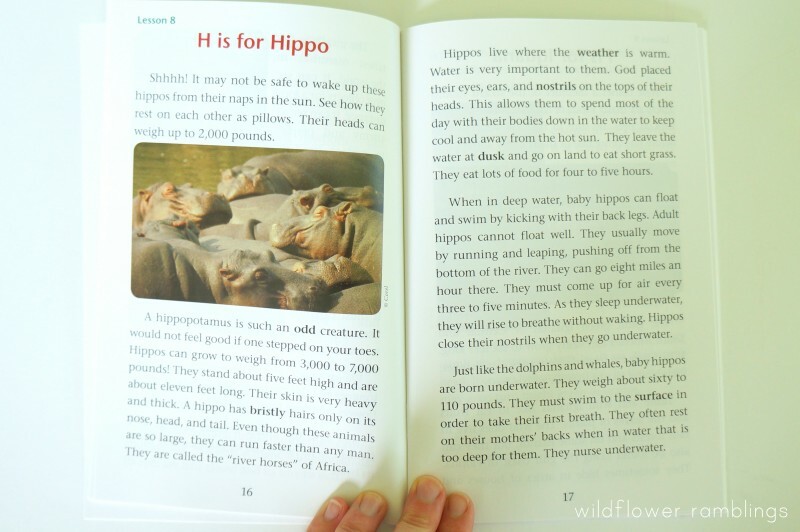 We are adding this element to our My Father’s World curriculum because I love the time and care placed on each of the read-aloud texts. I highly recommend this and am so happy to have found it; it is a true gem. 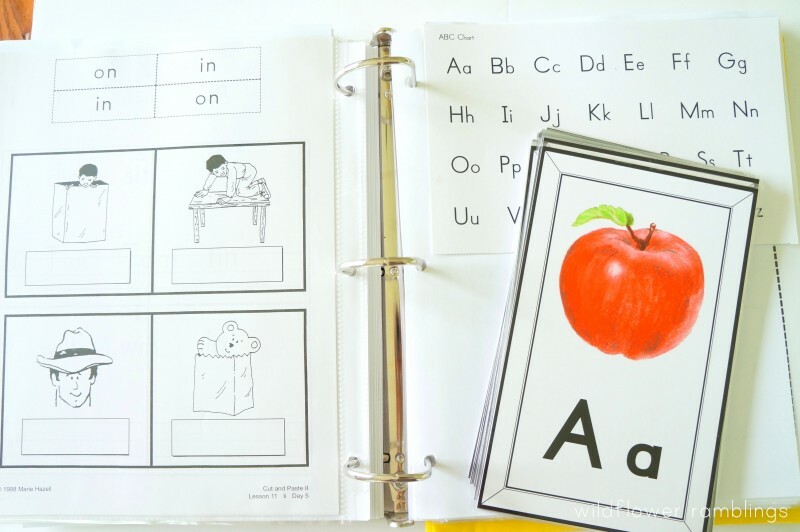 Kindergarten Notebook: We are also using a simple composition notebook to record John’s work in language, recitation, and his read-aloud books. 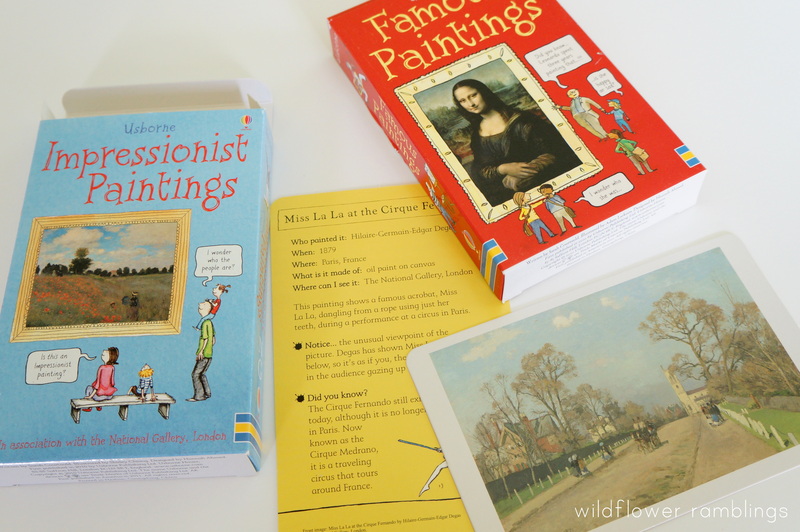 Famous Paintings and Impressionist Art Cards: We love these handheld cards, and all the incredibly affordable art resources from Usborne. I’ll have a post up on them soon. 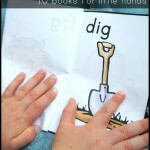 I love that a child can read through the books and learn something new. Or I can intentionally teach a painting or a drawing technique using classical paintings by famous and skilled artists. Always available is our art area, an art composition notebook for each child, and various art utensils for creating; John is showing a great interest in visual art, so we’ll definitely be incorporating both prompted and spontaneous art and question-based projects and creations. 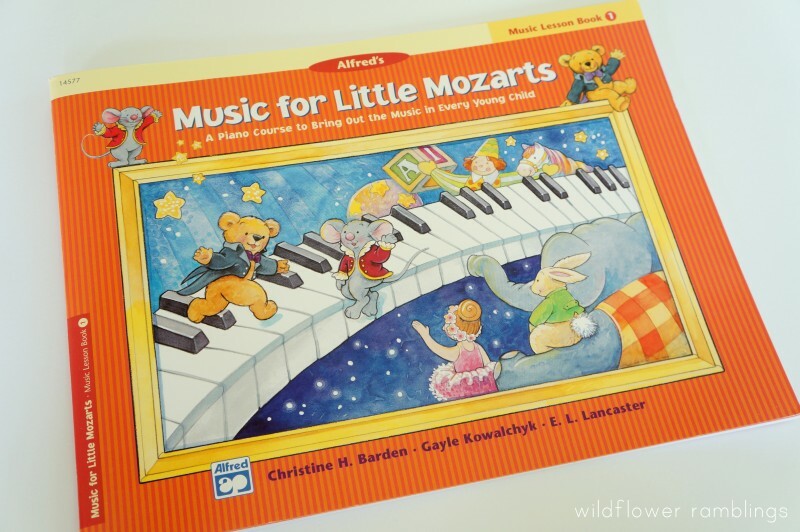 Music for Little Mozarts, Volume 1: We have had this curriculum for several years — I tried working with John when he was just turning three — a little over zealous on my part. I did a complete review of Little Mozarts a while back. But now! He can curve his hands properly and really focus for a good 10-15 minutes. We will try to do the lessons a few times a week (or day!) depending on his interest level. We have the full set, but the Lesson Book is the only text that is needed, in my opinion, if you are well-versed in music and don’t want to buy the entire package. My plan is to complete Volume 1 thru 4 with him and then move him to formal piano lessons, or another instrument of his choosing. 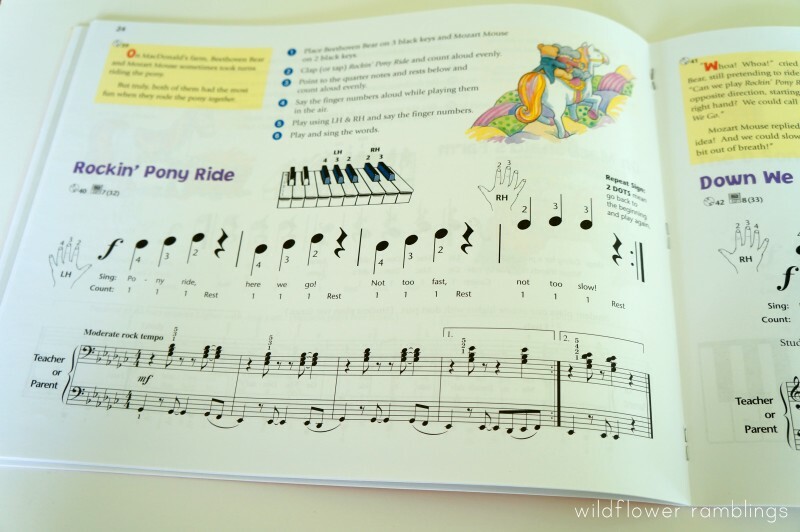 I do want to encourage formal musical training and solidify an understanding of classical music and music theory. Read Aloud Books: We are reading together morning, noon, and night around here. 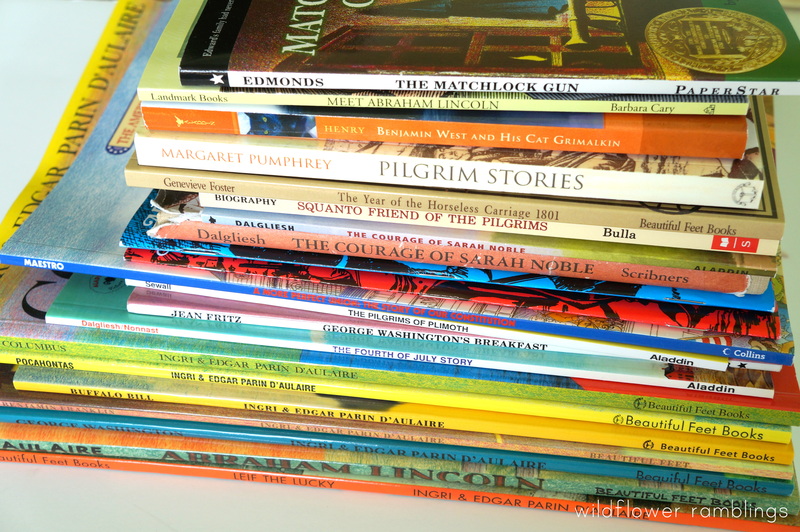 I have been more intentional about what we read with our list of read aloud books for four year olds. 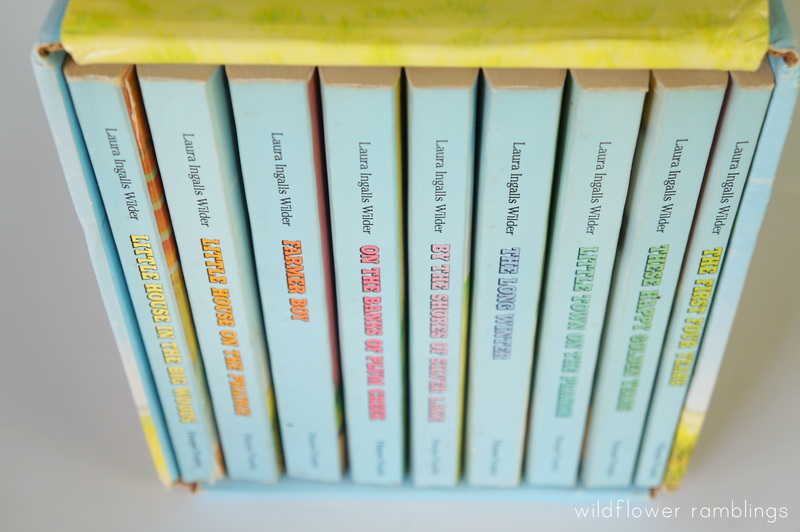 For his five year old year, we are reading the Little House on the Prairie series. He has absolutely loves these books, and I’m so glad I thought to pick them up. 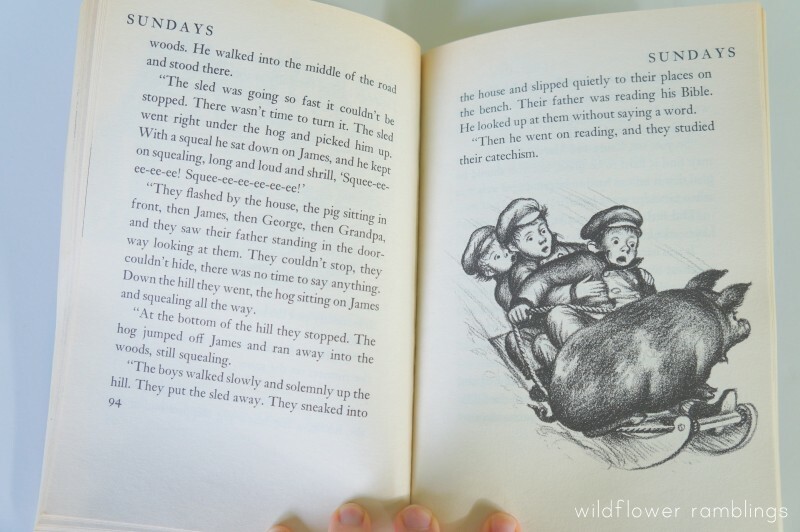 The opening scene is about Papa killing and preparing the family pig for the winter, so yes, these books are for boys and girls alike — my husband enjoys reading them aloud at the dinner table or before bedtime too! The subject material is fun, interesting, and character-driven; the set we have is from my own childhood! We will be reading all nine books in the set, or as long as my son holds interest. We just completed the first book. We highly recommend them for any aged child who will listen. We will continue to work with our Montessori Alphabet Box and Montessori Moveable Alphabet in addition to My Father’s World, which includes both handwriting and phonics portions of learning. I am including some extra suggestions here in case we need them (because I already own and love them), but know we certainly won’t go through everything. John may need review in some places, particularly with handwriting (you can see our Handwriting Notebook here), while he may be able to skim or skip other parts. 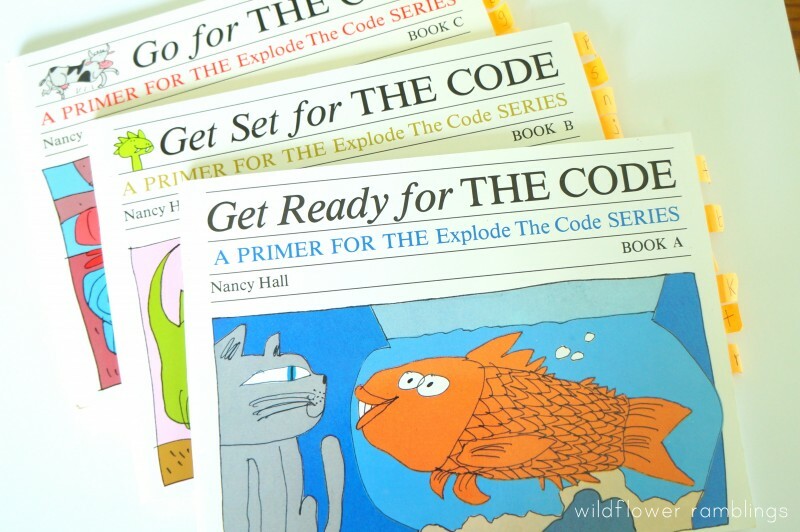 Explode the Code: These books work on lowercase handwriting and phonics reinforcement. 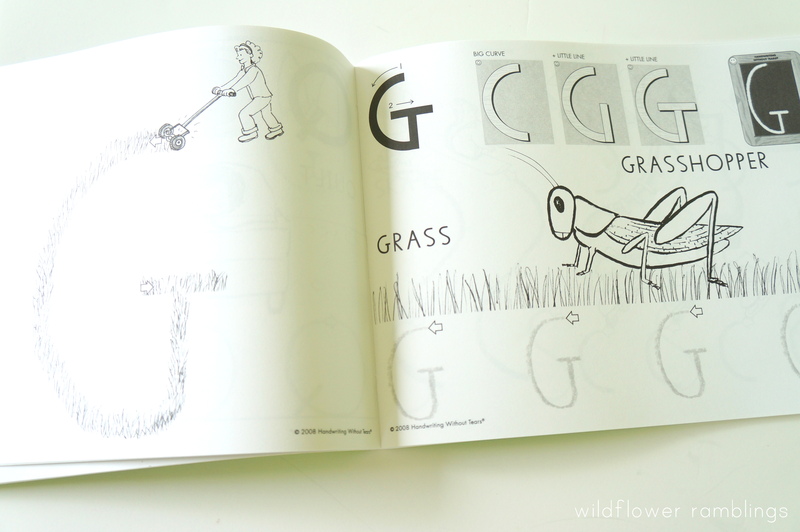 I love the simple illustrated drawings and slow approach to sounding letters out. 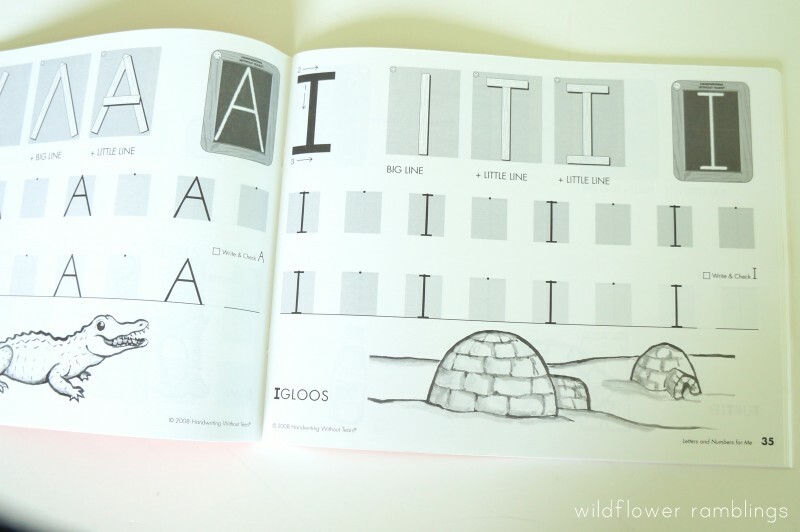 There are three books that focus on the letter sounds, so no words are built here. We may or may not work with these, or pick and choose according to what letter we are focusing on. 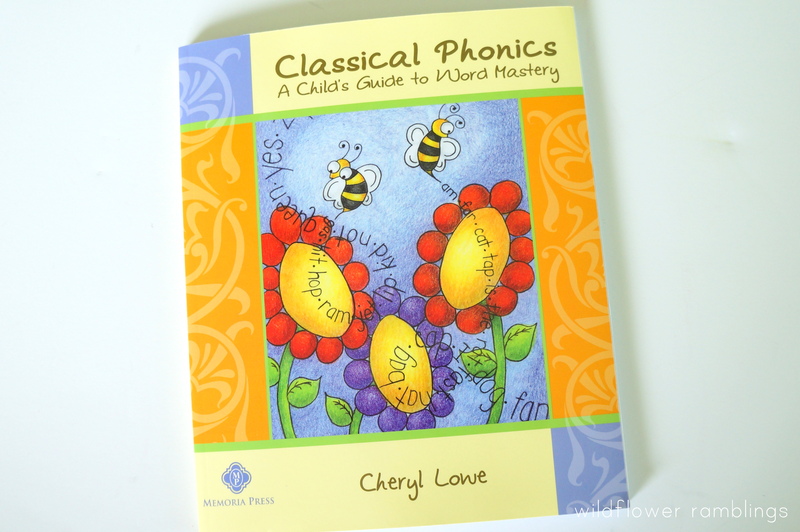 Classical Phonics from Memoria Press: This text is a wonderful breakdown for early readers. 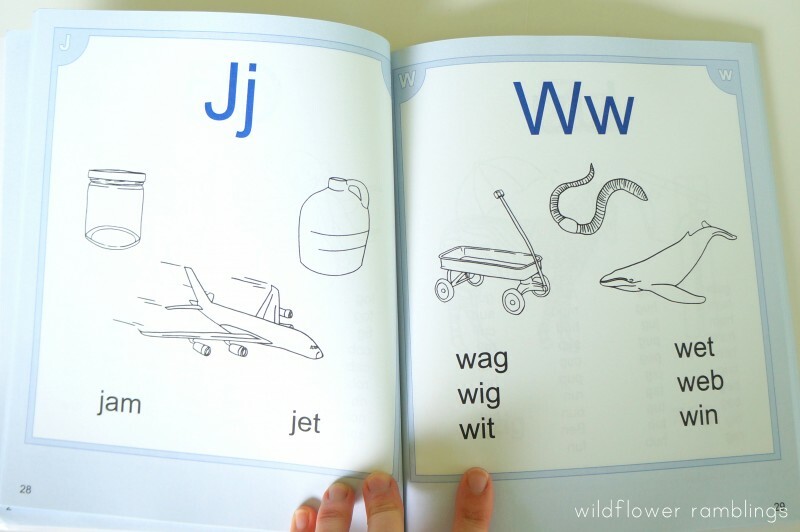 It begins with CVC (consonant-vowel-consonant) words, and builds from their for success in reading. 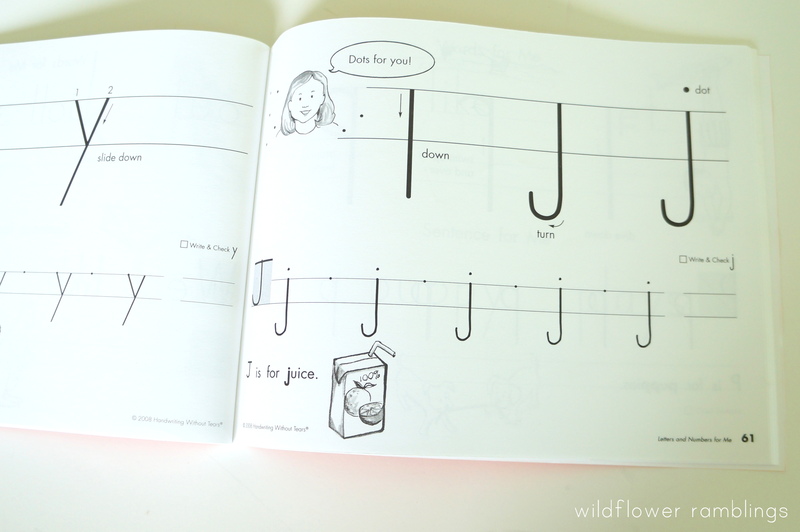 It teaches vowel pairs and consonant digraphs for future learning and reference. 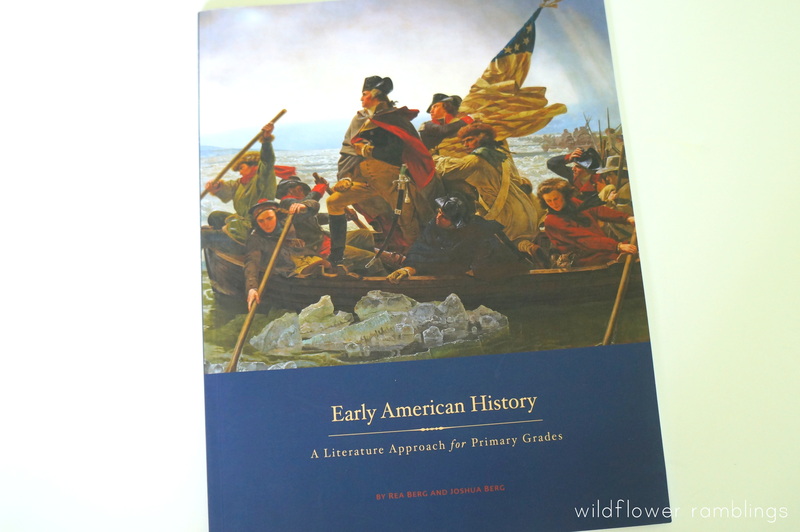 It is a non-consumable text, so it is used for teaching reading with any curriculum, and it is a great guide for teachers; I highly recommend it. 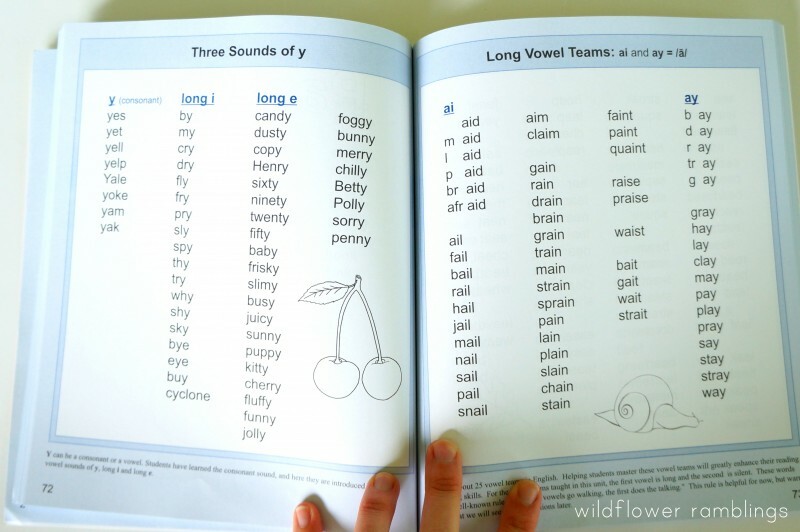 We will most likely go through the First Start Reading, also from Memoria Press, to reinforce handwriting and beginning phonetic reading. 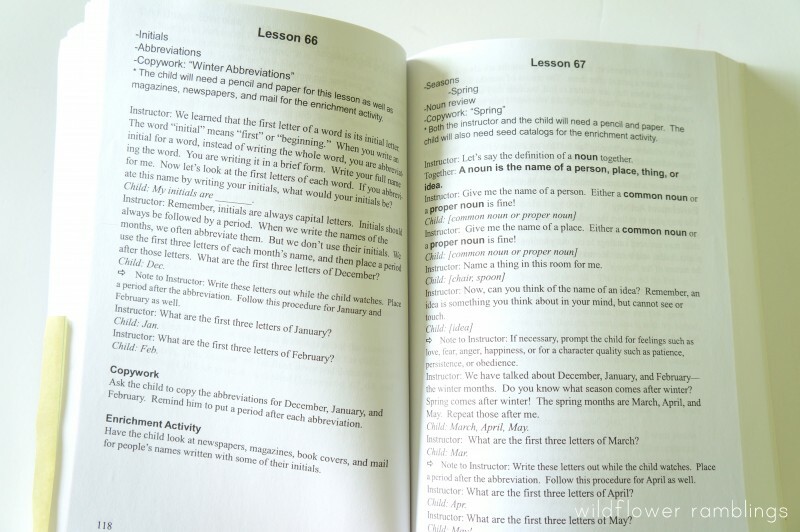 My Father’s World includes information and instructions for how to do calendar time, and they also provide one hands on mathematics worksheet that the child can do related to numbers, shapes, or patterns. We may do a couple of these. I like that they give a baseline for what parents may want to teach. Such as, introduction with money this day, and teaching time the next. 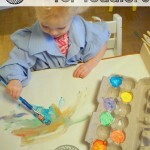 Kindergarten is a time for introducing and exploring concepts, not mastering them. 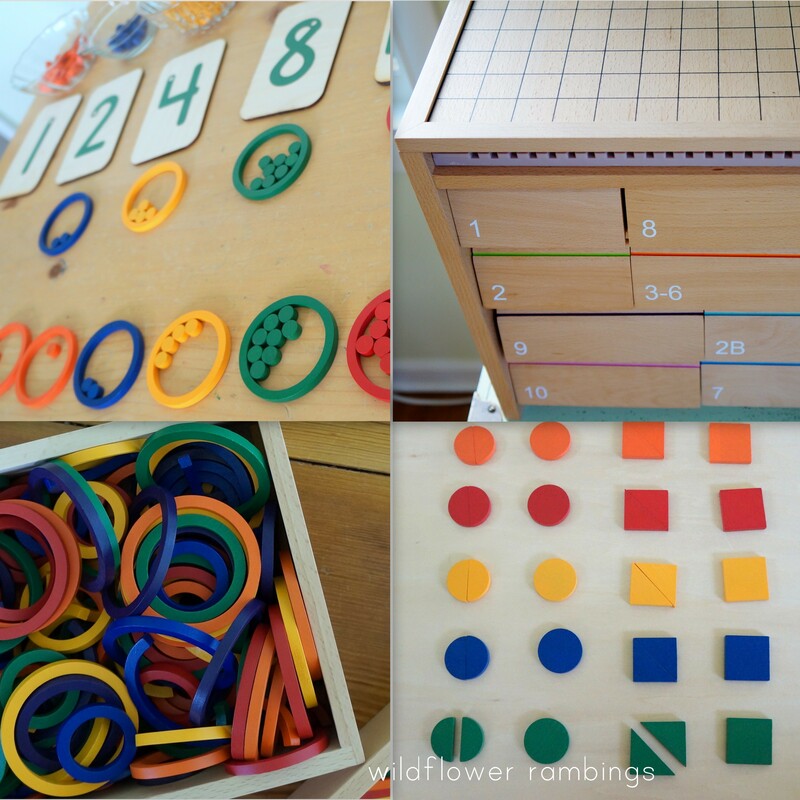 However, counting and skip counting, as well as focus on true number sense (what is number sense?) should be the focus. Our mathematics work is all hands-on at this point. We will also be counting from 1-100 using our hundreds chart, as well as continuing to count by tens, fives, and twos. We will most likely wait another year before we do a calendar time and counting the days of school, which is considered pretty standard in kindergarten. I don’t want to pack in too much information, and I feel that, for John in particular, he has a fairly good grasp of months and time passing through books and studying the calendar through interest-based time and learning. 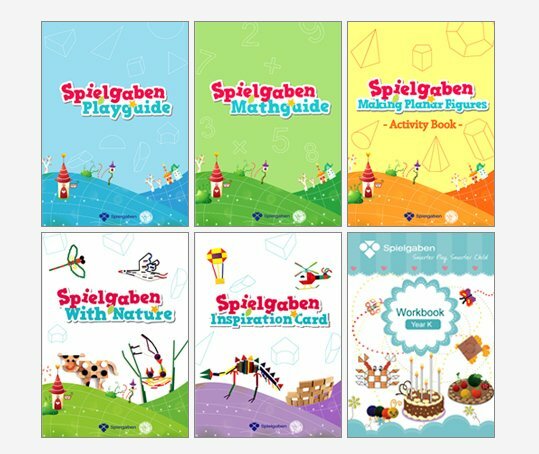 Spielgaben: Print Materials and Wooden Manipulative Set: We are so pleased to have purchased this set. Included are materials for every mathematic concept a child could learn or need to learn. 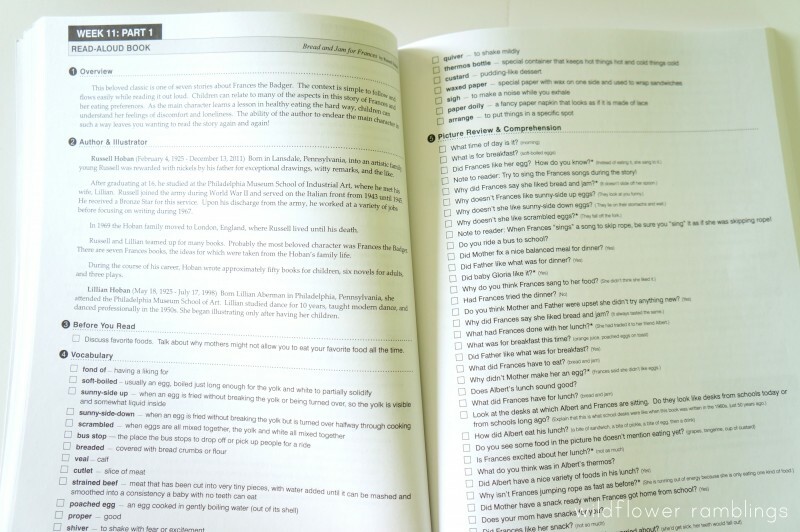 We chose to purchase the included pdfs in printed format, so John can pick and choose an activity each day from a book. These can all be used from an iPad, but since I favor the written word over digital (and it’s more simple and easy for a child to look through and exclaim, “I want to make this!”) We will have his books available at all times for hands-on exploration. We will, more intentionally, do at least an activity a day from these amazing books and the incredibly diverse and invaluable Spielgaben set. 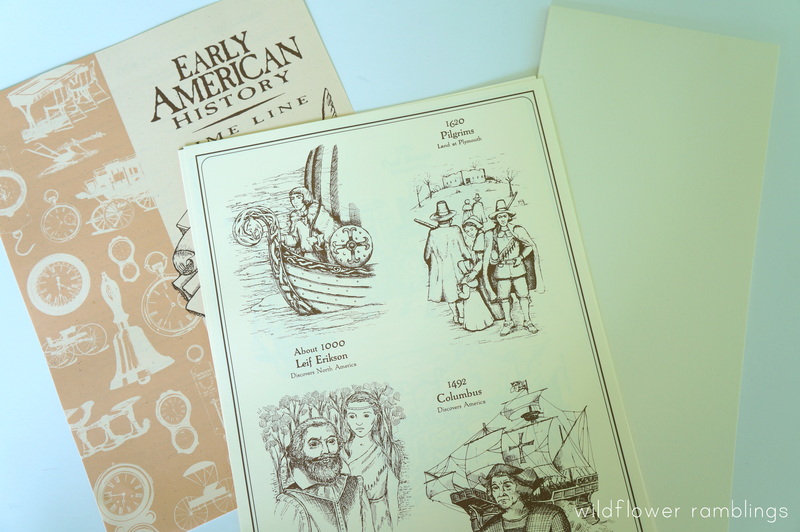 American History from Beautiful Feet: This gorgeously written, and presented, text consists of reading primary and secondary books based on the history of America. 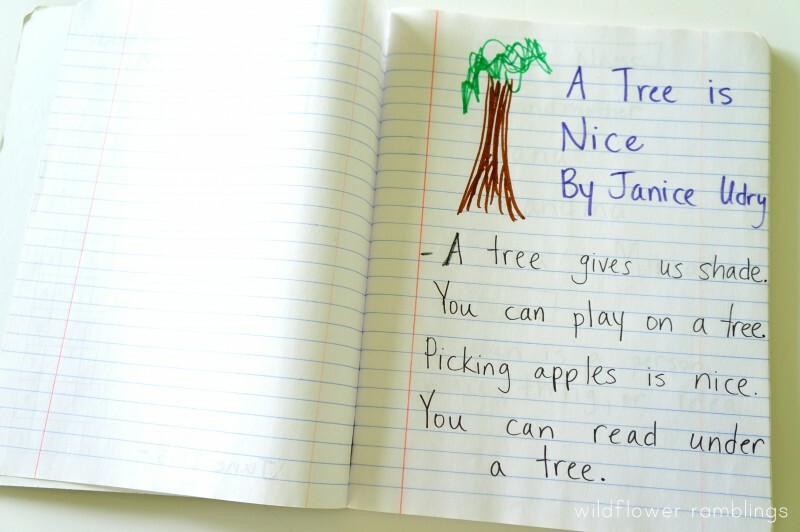 Each day’s lesson consists of a short reading from a collection of beautiful picture books, and/or coloring, copying and pasting activity, along with a life lesson on true character. I am probably most excited about this curriculum. I went through some of this material with my kindergarten classes and now get the privilege of teaching our great history with my own son. Oh the joy of learning! My prayer is that John hides these truths about how our country was founded and keeps the Biblical teachings about Christian virtues in his heart. John absolutely loves the books and the lessons on character and virtue and perseverance. He really just thinks that we are reading, he does not consider it a chore or “school.” We also purchased the Early American History timeline, which we may or may not put together all at once or in chunks. 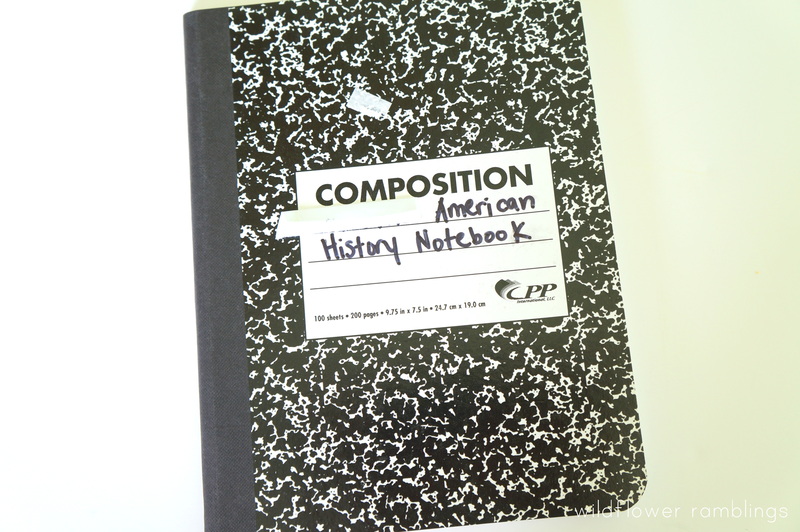 My American History Notebook: We are using another composition notebook to track his learning in American History. Pages are for copying down Bible verses, coloring and cutting pictures, and summarizing our learning together. We are not “starting school,” we are continuing my family’s life long journey towards beauty, wisdom, and truth. There it is, our kindergarten homeschooling curriculum plans. This is what a former kindergarten teacher shares with her own son. I adore the baby stage of my children’s life, I adore the beginning speaking and the learning, and now, this stage of expressing and exchanging thoughts and ideas and the stories of old has opened for me a new facet of parenting. It is a wonderful stage of life and I am blessed beyond measure to be able to homeschool them and raise them in wisdom and in stature. I pray that we will continue to be free to teach our children with God’s grace and His blessing. What interests you the most? Please ask questions if you have any thoughts or questions! Amy – I love how you’ve covered everything here. 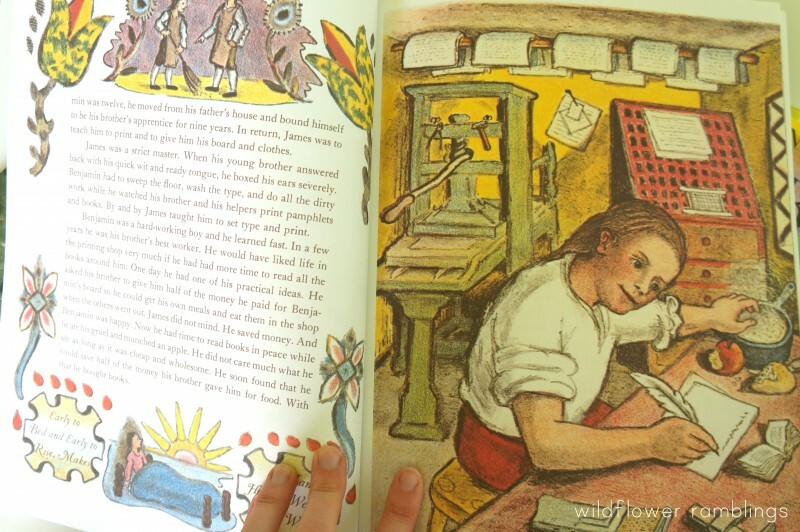 We enjoy the Jesus storybook bible as well and the Handwriting without tears books. I’ll definitely look into some of these well researched suggestions. I especially need to learn more about the math manipulatives you are using. Pinned. Thank you so much Monica, it’s so great to hear from you :) :) We love the Spielgaben set, it’s definitely a worthwhile investment. Wow!! You have put much time and effort into this post. Very nice, quite informative! Thank you. I love this post, thanks so much for sharing! 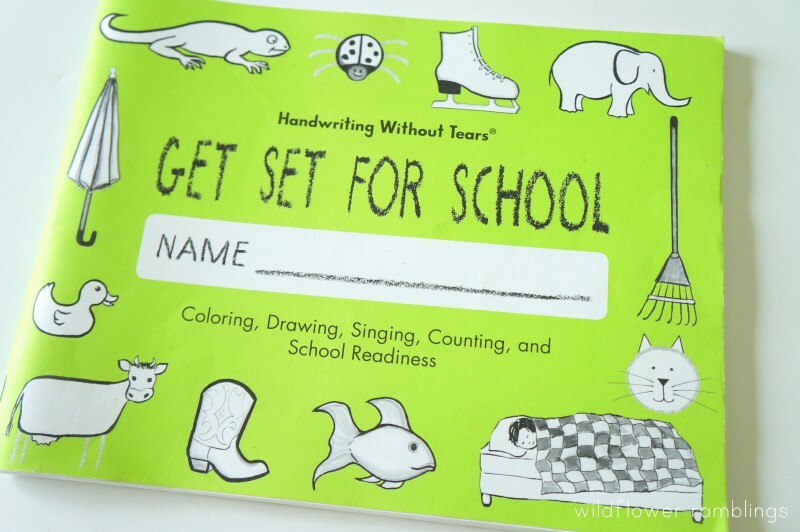 Where do you get the HWOT workbooks? I keep starting to look into it and getting sidetracked so I can’t even remember what I found! 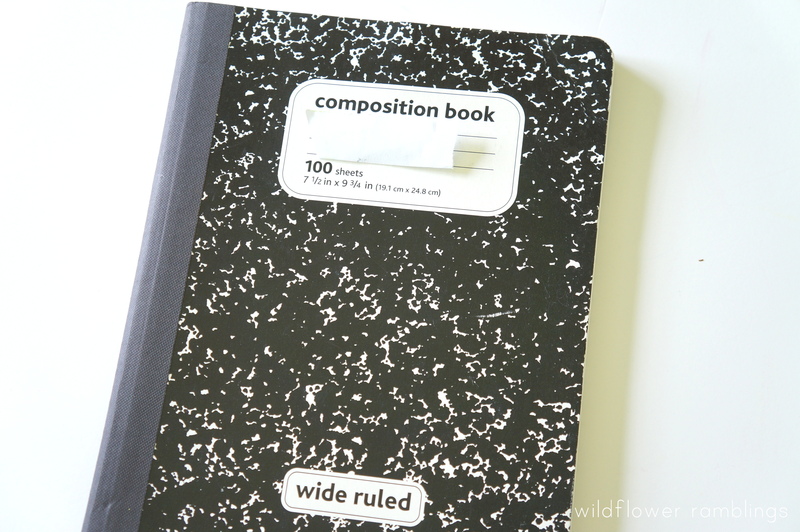 Have you posted about how you use Composition Notebooks? I’m super interested in learning more about that and possibly trying it out! My son is starting kinder, also, and I also used to teach kinder and swore to delay my kiddos’ starts, lol. I’ve gone back and forth about starting FLL yet or not but I feel like seeing that you’re starting it gives me permission, so maybe we’ll give it a shot! 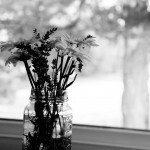 I’m eager to look into your art and music resources, they look awesome. Clearly you’ve put a lot of thought into all of this-well done!